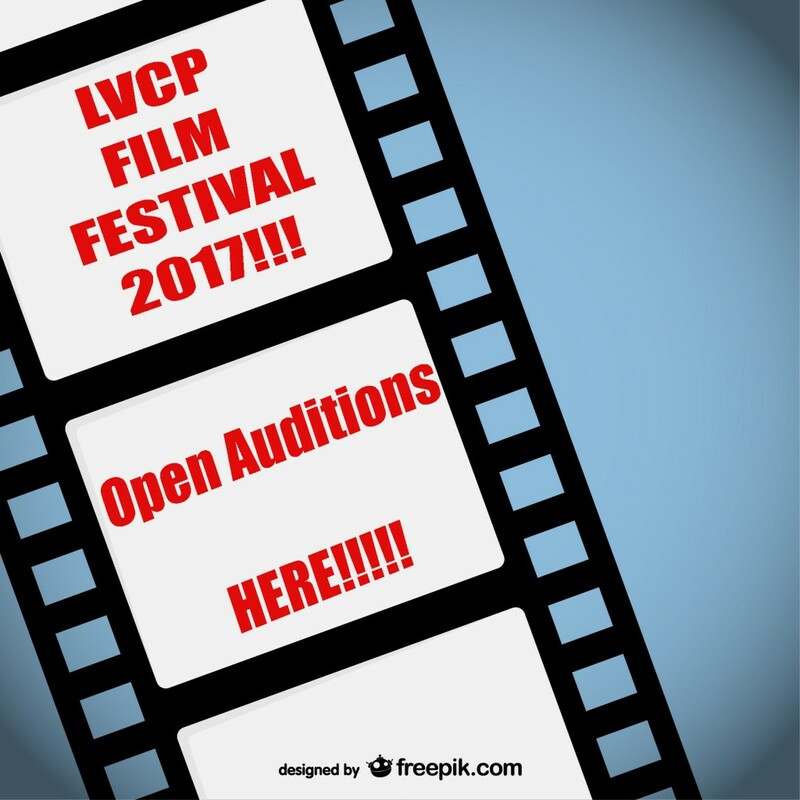 LVCP FILM FESTIVAL 2017 – A group of young upcoming directors are filming a series of short films, for the LVCP Film Festival 2017. Politician – overconfident, arrogant, and painfully addicted to sugary foods. Heavy built, age range 40-50, though younger (30s) is okay. Would like gray/white hair or salt & pepper hair. Misc. Security Advisors – Gender Not Specific. At least one male. Late 20s to early 40s accepted. Ability to have a stern face for a decent period of time is desired. Security Advisor – Male preferred. 30s. Dark hair. Gray/Silver in hair is fine. Fit, strong. They’re a war veteran who’s seen a lot. Contact – Male preferred. Height is not specific. 35-45. Tries to fake confidence, but he’s really a nervous guy who’s never ordered a hit on anyone before. Contractor – Female preferred. Tall. Cold, calculating. On the older side, so 40-50. Gray/silver hair if possible. Pretty okay at faking confidence, but a slimy coward underneath. Renegade/Cobalt – Female. Dark brown hair. The actress must be able to portray a bipolar character – the ability to have a “cold/hard resting face” is a necessity. Must also be able to be friendly and confident, and act semi-arrogant. Neighbor: Condescending, nosy. Female is preferred but male should work just fine. 45-50 years old. Detective Rick Cornwall: quick of wit and friendly, but he’s still got that hard edge. This guy’s seen a lot of crime. Late 20s to 30s. Muscular. Ghost: small person light build. Observer Tall / Supporting / Any Ethnicity / 30-45. Jack: mid to late 20’s. Very self-centered anchor, who only cares about himself. He always wears suits. Phil: a man in his late 30’s who really wants to do more than work this show. Bart: a new intern who looks to be in his early 20’s. Nerdy look. Cameraman 1: a man in a white tee and blue jeans. Cameraman 2: a man in a black tee and khakis. Liam : is around the age of 16-17. He’s been friends with Isla for years now and has been in love with her for a very long time. Liam is an introvert-extrovert kinda guy, meaning he’s quiet and loud at the same time. A classic converse and flannel is his go to outfits. Isla: is around the age of 16-17. She’s a quiet and very reserved person. Isla has also dealt with so much through the years so there’s a sad undertone. She’s been friends with Liam for years but doesn’t know she’s been low-key in love with him. Converse and jean jackets are her classic outfits. Francine: is around the age of 40-45, has a “hippie” sense of fashion. She’s very calm in terms of parenting, Francine wants Isla to explore life something tragic happened in her life. Older Isla: is around the age of 22-23 because we fast-forward 5 years later. She’s still an ambivert and seems to be coping with everything that happened in the past nicely. Older Liam: is around the age of 22-23 because we fast-forward 5 years later. He hasn’t gotten over what happened between him and Isla, imagine Sebastian and Mia from La La Land. Isla’s new beau: is around the age of 22-25, well-built but not so much. He’s very caring towards Isla and wants her to be happy. SUBMISSION PROCEDURE: in person at casting site. PAY/PERKS: Credit, digital copy, meals. SHOOT DATES: (tentative) Wednesday, March 22nd through Friday May 5th, 2017. Please note: IT IS NOT STONERIDGE MALL. THIS IS A SHOPPING CENTER ACROSS THE PLEASANTON COURTHOUSE, TOWARDS HACIENDA DRIVE, towards Gibraltar drive. When: SUNDAY MARCH 26TH, 2017 FROM 2:30 PM TO 5:30 PM. WE HAVE ROLES FOR ALL AGES AND ETHNICITIES. THIS IS A NON-UNION, DIGITAL COPY, AND CREDIT PROJECT. City or Location of call: 5674 STONERIDGE DRIVE. PLEASANTON CA 94588 Please note: IT IS NOT STONERIDGE MALL. THIS IS A SHOPPING CENTER ACROSS THE PLEASANTON COURTHOUSE, TOWARDS HACIENDA DRIVE, towards Gibraltar drive.